One of the most beautiful valley in the European Alps is the Pinzgau Valley. The Wildkogel Mountain, where we are actually standing on is a huge skiing resort in winter and a big hiking area in the summer. Reachable with a ropeway the top of the wildkogel is always in range for all outdoor activity. 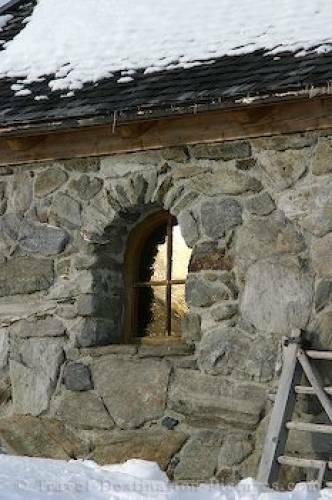 A little chapel on the wildkogel made of rough stones shows us this beautiful window.